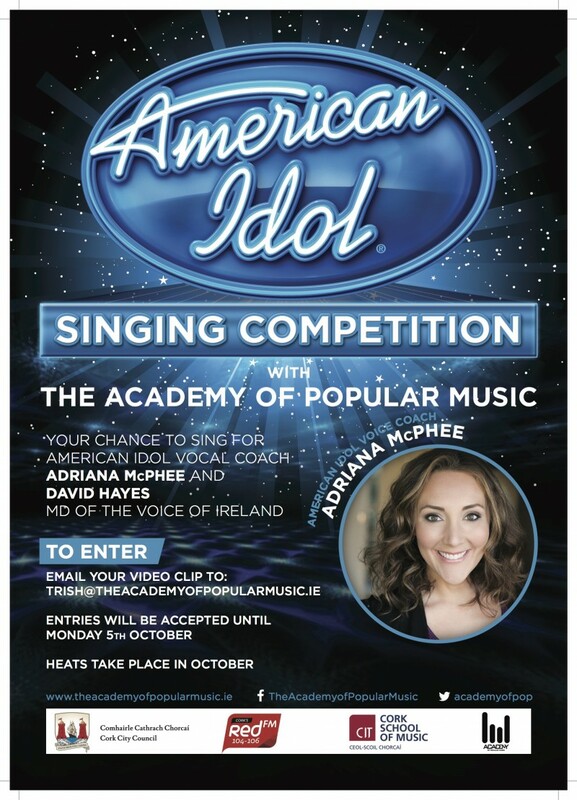 American Idol Vocal Coach Adriana McPhee is coming to Cork for this fantastic singing competition!! We are so excited to have her with us. All singers aged 10 to 25 are welcome to enter. Existing Academy students email trish@theacademyofpopularmusic.ie if you would like to enter. Non-Academy students please email your video entry. The final will take place on Friday 6th November. Heats will be in October.